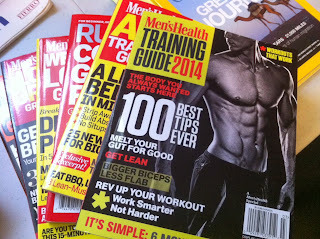 I'm a sucker for Men's Health magazine/books (pictured) that comes out every now and then. I find myself on the lookout for it every time I do my grocery shopping. It's a must own for those looking for information on healthy living.